Reputation Monitoring : Please remember Reputation Management Monitoring and Arrest Record Removal are two different services. We specialize in Online Reputation Management, managing, protecting, and promoting your online reputation. Your reputation is everything, and knowing what people are saying about you is half the battle. Our team of experts provides you with everything needed to monitor your online presence—and best of all—our unique software puts you in total control. By filling out the contact form at the bottom of this page we will alert our team to conduct a FREE REMOVAL ANALYSIS. This way you can see first-hand what websites online have published you mugshots and arrest information. Once we initiate your removal solution you will see results within the first 2-3 days. A complete and total removal solution typically takes about 7 days to be finalized. All removal solutions and monitoring services are guaranteed for life for that particular incident. Monitoring will give you insight into what people are saying about you online, and help improve online visibility. With our reputation service, we scout all aspects of your online reputation and remove negative content immediately. yes Monitor name in all major search engines. Online reputation monitoring is a key tool in the arsenal of our professionals. They’ll help you deal with any problems before they spiral out of control. Learn how to better control Google search results so they are more favorable towards your business. EraseMugshots guarantees all removal and online reputation solutions for life. This means if anything were the reappear (in reference to the same incident) our team will remove the content at no additional charge to you. 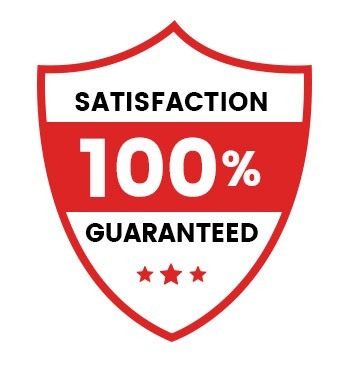 Our service is fast, reliable, and 100% confidential. This reputation management monitoring package is primarily aimed at corporate professionals, entrepreneurs, or anyone concerned about their online privacy. For a more tailored service, please contact us. Social media is the new way to reach consumers on a large scale. Individuals discuss everything on social networks, including your business. this feedback may be generated via Facebook reviews, sharing inspiration on Pinterest, or lodging a negative thought on Twitter, customers are talking about you. Consumers are turning to social media to attach with brands and position people over ever. In fact, many users will visit Twitter or Facebook rather than the business’ website directly. You’ll have to monitor your pages and social media accounts. However public mentions and comments additionally become more valuable as consumers trust online review more than a personal recommendation from a friend or family member. Social media isn’t restricted to what you share. What individuals say regarding your whole is very important in addition. Online reviews are nice for firms with a robust online reputation, some complaints on Ripoff Report will cause everlasting harm. However, by actively watching on review sites, you’ll be able to determine negative reviews and quickly take action. In some cases, you’ll be able to work with the web site to get rid of faux or negative reviews. If that’s impracticable, you’ll be able to continuously try and contact reviewers to make amends and request an updated review. Don’t simply monitor the massive review sites, like Google, Angie’s List, Yelp and Trip authority. check out niche review websites as well. You can utilize a free tool like Google Alerts to assist you during this process. This will even send you email updates and allow you to combat that review in a timely manner before a brand crisis emerges.